Best-ups & E-store for convenience and a Voucher Module for the deal hunters. Every month we educate 2,000 new seller and provide advanced online and offline training courses to our existing sellers. “Logistics is a challenge because the ecosystem in Pakistan is not digitalised and integrated. DEX already has ~1,000 riders in 30 cities for faster and better delivery service (including much better tracking and visibility). Today, we do more than 55% of all Daraz deliveries through DEX and delivery time is 1-2 days faster than with external partners. We are helping existing and new logistics providers digitalise (large and small). You will recognize DEX by the orange uniform and a big smile! 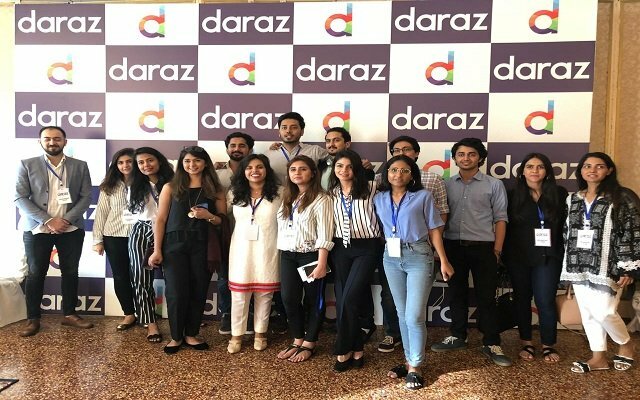 “Fulfilled by Daraz” means that the product is shipped from one of our own warehouses. For fastest delivery and quality assurance, we always keep the best ~30% selling products in our KLI warehouses. Use the filters to select the service level designed for your needs. “With thousands of marketplace participants, our most important job is to make sure the customer is always protected. “Refunds for returned products have always been one of the major pain points for customers because funds have to go through multiple banks to reach the customer’s account. “We firmly believe that the digital era is on par with the Industrial Revolution. In the coming 10-20 years, digital technology will fundamentally alter many parts of society from commerce to politics to culture. Our purpose is not only to embrace this change, but to proactively create change and welcome a better future for Pakistan. “This also requires an adjustment to our Values.